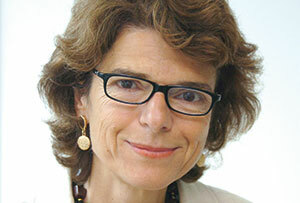 Research suggests that women make decisions based on calmer reasoning, so why are there so few females in top finance jobs, asks Vicky Pryce. It is still the case that senior women economists remain few and far between. It needn’t be so. I tour the country talking about economics at schools and at big A-level conferences – sometimes addressing as many as 1,500 kids. As I argue in the book I co-authored last year, It’s the Economy, Stupid (Biteback, 2005), it is all about economics at the end of the day. Cost-benefit analysis and evidence gathering is a must in decision-making, too often ignored by politicians. What matters most to people when they vote is the money in their pockets. The current arguments about immigration mostly reflect underlying concern about jobs and pay. You would have thought therefore that economists should make the best politicians – sadly this is not always so. In Greece where I originally came from, successive economics professors took on finance jobs and managed to leave the country in a worse place than where they found it. But maybe if there were more female economists that would help. Research suggests that women make decisions based on calmer reasoning, not being prone to over-optimistic exuberance or belief that they can beat the market, which is what often happens on a trading floor full of men – with sometimes disastrous results. More diversity generally and particularly in top positions has been proved by countless research to lead to better decision-making. And better decision-making means more profits in anyone’s book. But why are there not more female economists? I was probably the first woman to be hired in Williams & Glyn’s economics office when I started work in the 1970s. When I became a partner at KPMG in 1990, I was one of only two female consultancy partners. Much has changed since of course. But even as recently as 2002, I was the first female chief economist to have been appointed at the Department for Trade and Industry (now BIS). Luckily, I have been succeeded by females, which is great. The civil service has a much better track record in this area than the private sector. But in 2007 when I became joint head of the Government Economic Service, it was the first time a woman had held that post. And as of early 2016 there were just six female permanent secretaries in Whitehall departments. It is a shame that in the brief period during the coalition government when the cabinet post – the most senior civil service appointment – was split into two, both jobs went to men. It was a serious missed opportunity. As I argued in my book, Why Women Need Quotas (Biteback, 2005), which I co-authored with the former Financial Times management editor (and MT’s contributing editor) Stefan Stern, there is a clear market failure here as current practices discourage women and prevent enough role models from developing – losing us talent and reducing productivity and growth. But the quotas I support are for senior executive positions rather than boards, to be applied over time (with a sunset clause) to encourage organisations to change culture in order to keep the talent they have already invested in. That a culture change is needed across the corporate sector – but also still today in many areas of the public sector – is widely accepted. A company I helped start up, GoodCorporation, advises on corporate social responsibility – not only because it is the right thing to do, but also because it makes good business sense. Eliminating the glass ceiling can only help. Looking at what is in store for 2016, at least we can say that barring an all-out Middle East war, we are very unlikely to see anything resembling the 2008 economic meltdown. At the time I was privileged enough to attend the high-level officials group, set up to assist the specifically assembled National Economic Council that was chaired alternately by the then prime minister Gordon Brown, and former chancellor of the exchequer Alistair Darling. We poured in funding to stem the decline in economic activity, based on as much evidence as we could bring together on what might work in admittedly exceptional circumstances. The coordinated global cut in interest rates that followed also helped. My fear for 2016 is that this international monetary coordination is now breaking up, with the US first among the big nations to forge ahead with the first interest rate rise in nearly 10 years, bringing unknown consequences for the world economy. Most economists polled by the Financial Times and The Times, including myself, at the turn of the year, shared a similar view of the uncertainties ahead. But uncertainty is good for economists and for me personally as one tends to be in demand. It helps to heal old wounds and keeps one sane and focusing on the future. Hear her speak at Inspiring Women Edinburgh on 17 March and Inspiring Women Birmingham on 21 April. Quote IW35 to get a 35% discount off the standard ticket price.